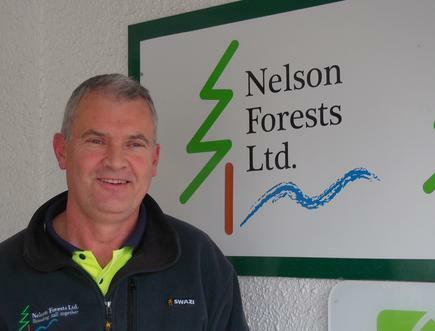 Nigel Brabyn took on the newly-created role of business performance analyst at Nelson Forests Limited (NFL), one of the first things he assessed was the ‘information supply chain’ across the group. “I wanted to try and integrate those systems together, looking at what intelligence we can get out [of them], and get the systems to talk to each other,” says Brabyn, who four years ago stepped up from the forest and information technology manager post. 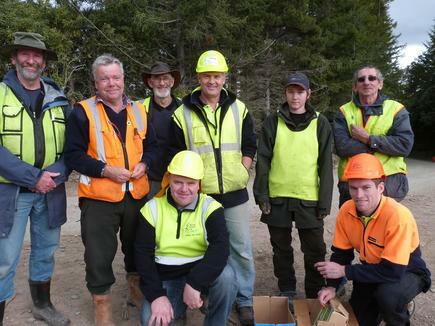 NFL – with around 600 staff and contractors - manages 78,000 hectares of high quality radiata pine plantations in the Nelson and Marlborough regions, and owns and operates the Kaituna Sawmill near Blenheim. He also checked for duplication of information, and created a diagram of the data flow. From there he created a diagram by “taking those functions and reordering them”, which is now part of the company’s standard systems. It used to take us between three and six months from the time the tree was felled out in the forest to know whether we were making money. Now, I can tell you the trees that we cut down yesterday whether we will be making money on it. By integrating these different functions, we gained a lot of efficiencies, says Brabyn. NFL also invested in a core system to get “one version of the truth”. Related: Data scientist: Most 'in demand' job of the century? Brabyn has been working in the forestry sector for more than 33 years, starting as a forest draughting cadet in Gisborne, using pen and ink to do the mapping. He did get involved in the first private sector computer record system in the 1980s when he was with Tasman Pulp Paper’s Forestry Division in Kawerau. He progressed to a range of roles that included forest information officer and IT coordinator at another forestry company, Weyerhaeuser New Zealand, for 10 years; and valuation and information officer at Fletcher Challenge Forests. “It was all about keeping records of what we had done,” he says of his earlier roles. So when he took on his current role, he looked at how to improve the systems. It was, interestingly, a CIO New Zealand column by Owen McCall titled “The 'I' stands for Information” that prompted him to focus on NFL’s other key asset – information. McCall transposed the triangle model of Maslow’s Hierarchy of Needs to the four stages on “maturity in better use of information”. • I understand historical performance. • I receive information that allows me to monitor performance and act on exceptions quickly. • Information enhances my decision making ability today and predicts future business results. • I receive information that allows me to identify and exploit new opportunities. “Reading this article, I felt it spoke to me,” says Brabyn, who was then in the business performance analyst role for about a month. Applying this insight to Nelson Forests, he states, “What it told me was our forestry industry is extremely good at understanding information to the 9th degree. Forest companies record everything and put them into databases. We did mapping, filled out standard record cards. “My analogy was the Titanic [ship],” he says. “You are concentrating on your historical information and you are receiving data on it, but it takes a long time for that data to come through. “You are, actually, looking at chunks of ice float past. You might hear a bump but you don’t know what is really happening. You don’t know whether you are turning away from risk or into it. By the time you actually turn, it is too late. “Getting that feedback quickly is important because if you don’t, we have people in the forest cutting down trees, they will just keep doing what they are doing. We need to change it, by the time you make the change you are now another six months behind. “Taking those and getting those core systems in place took two years,” he says. 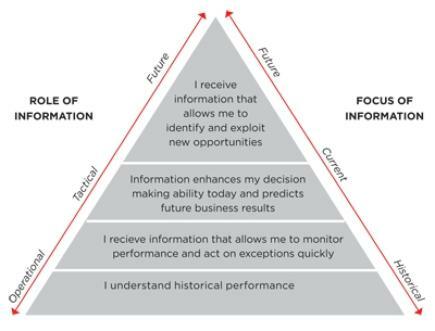 He believes he has reached the second rung of the information hierarchy, and working towards the next rung, which is “information enhances my decision making ability today and predicts future business results”. Part of Brabyn’s role is checking out and piloting emerging technologies that can be applied to the sector. When CIO New Zealand visited the NFL office in Nelson, Brabyn was checking the video of the Brightwater forests taken by a UAV (unmanned aerial vehicle) or drone. In the past, NFL would have hired a helicopter to do a survey and produce the same footage. He believes drone technology will become mainstream within the decade. During inclement weather, for instance, it would be safer for the crew to do a reconnaissance, using drone camera to fly though the area first. “I can see within five to 10 years, all of our field operations will have one of these in their vehicles,” says Brabyn. He says it was not too long ago when the office had one GPS, which was shared by the different teams. Now everybody has got a GPS and digital camera in their mobile phone, he says. What was holding NFL back is the limited network coverage to send information to the offices. “We get all the fancy things here but as soon as we get over the hill it is gone,” he says. I can see within five to 10 years, all of our field operations will have one of these [drones] in their vehicles. Nelson Forests worked with Vodafone to establish a cell tower in one of the fire lookouts. That happened five years ago and it took 18 months to set the whole thing up. In the past, NFL would use radio telephones “where everybody can listen” to the conversation. “The forest is our factory, the forest is our warehouse,” says Brabyn. Most of the logs are harvested using mechanised machines. NFL is using a program where after stripping the branches off, the machine would measure the log and program it to cut in areas to provide optimal grade products. These technologies are used for quality control, but the challenge is how to get back the data in the machine into the office. “We store huge amounts of data, but the only way we can get it back to the office is through one of these,” he says, holding a USB stick. The sheer volume of data then brings on another challenge. “It is one of those Catch 22 situations,” he says. This focus ensures Brabyn’s goal to progress NFL to the next rung of the “information needs” hierarchy. This is part of a special report on ICT in Nelson that came out in the 2014 leadership issue of CIO New Zealand.